Mr. Al-Hindawi confirmed the keenness of his group to strengthen the bilateral cooperation with the ministry to develop the oil & gas sector in Iraq. Mr. Jabbar Ali Hussain Al-Luiebi the minister of oil met with a delegation from Delta international company for investments headed by Mr. Adil Al-Hindawi the local administrator of the group in Iraq. The two parties discussed during the meeting about the bilateral cooperation and the opportunities of investment in the projects of oil & gas sector. 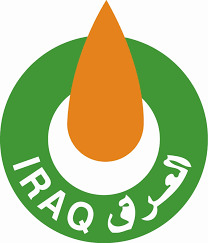 Mr. Al-Luiebi confirmed that the ministry of oil have made big plans to develop the oil & gas sectors in Iraq. He said also that there are many investment opportunities in the refining sector and the infrastructure. He also pointed on the facilitations which are presented by the ministry to the companies whom are working in Iraq, in addition to the preparation of the appropriate work environment for them.